What might be one of the most challenging things for the next generation? To find a Gmail address of choice! With over 1 billion Gmail ids already taken, growing at a rate of new 100+ million users every year, it would be a gargantuan task to find a name of choice for Gmail id. Looks like, few more years and it might be hard to find a person without Gmail Address on this planet. I am sure, you have a Gmail address (may be more than one). Let’s try and find out how we could get the most out of it. Illustrated below are some of the lesser-known features, which more than 99% users of Gmail are still unaware of. Let’s find out whether you belong to the remaining 1% or not. If your mail id is rajat.sharma@gmail.com , any mails addressed to rajatsharma@gmail.com , rajat.sharma@gmail.com , r.a.j.a.t.s.h.a.r.m.a@gmail.com or any such address will land up in your mail account. Also you can sign-in to your Google mail account with any of these addresses. The periods in your Gmail address are actually meaningless; they are just there for convenience!! If you add a ‘+’ sign and then any words to your Gmail address, it still works. For example, mails sent to rajat.sharma+amazon@gmail.com OR rajat.sharma+flipkart@gmail.com will still be delivered to rajat.sharma@gmail.com mailbox. You can use this feature while registering on various sites. For example if you are registering on Oyewiki, use the mail address rajat.sharma+oyewiki@gmail.com . 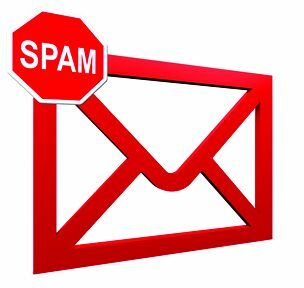 This will not only help you in filtering incoming messages, but, also help you identify the spammers. From the mail address in the spam mail received, you can be sure, who has been spreading or selling your mail address. Has it ever happened with you, that after you send a mail, you suddenly realize that you have sent a wrong mail OR a mail with a wrong content? Now, Gmail has a solution for that. Yes, you can now undo sending the mail sometime even after you already sent it and it will not be delivered to the recipient. All you need to do is enable 'Undo Send' from settings. You can also set the time till when you should be able to undo. The feature is enabled by default in all Gmail accounts with default time as 10 seconds before which you could undo sending the mails. Obviously, you know how to forward mails. What if you want to mail an entire conversation of few/many mails to someone or a group? Gmail allows you to send entire conversation of mails grouped together in your inbox. When you are inside a conversation and you want to forward all the group mails at single click, just click 'More' at the top of your inbox and Press 'Forward all'. Did you know that there is no meaning of 'space' in your Gmail password? It means, while you enter your gmail password to log-in, it does not matter if you put any number of space(s) anywhere in between. Meaning, if you put a few spaces before the password and/or few spaces after the password and/or few of them in-between anywhere you wish you could still log-into your account. Isn't it Great? Now think of all those ways it could be helpful to you. It could be particularly useful, if you want to trick someone who you think is observing you entering your password. Add random spaces in between the password and the other person will never be able to guess. Try it works !